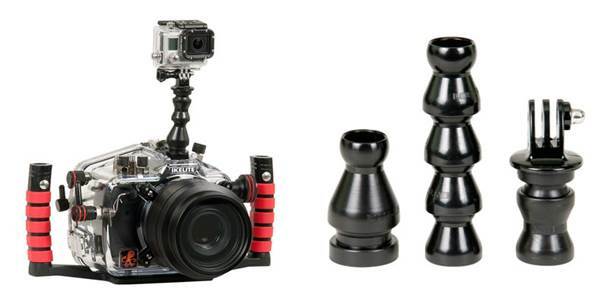 Ikelite has just announced a new line of products for GoPro video cameras. The GoPro Hero 3+ is a versatile camera for underwater video and can be configured in a number of different ways. Ikelite has built the new product line to help photographers in any situation: mounting a GoPro on top of another housing, stabilizing shaky video or using quick release handles for easy accessory changing. Full details below. Shooting with GoPro just got better. Whether you want to correct shaky video, improve comfort, add lighting, or capture video while shooting stills, Ikelite has designed a GoPro accessory to meet your needs. Is your GoPro footage inducing motion sickness? Let's be honest, there's only so much post-editing work you can do to correct the unavoidable outcome of shaky video. Share your underwater footage with confidence by simply adding this lightweight, precision-machined aluminum tray to your GoPro camera. Steady Tray for GoPro encompasses two mounting points, designed to meet both your comfort and lighting needs. 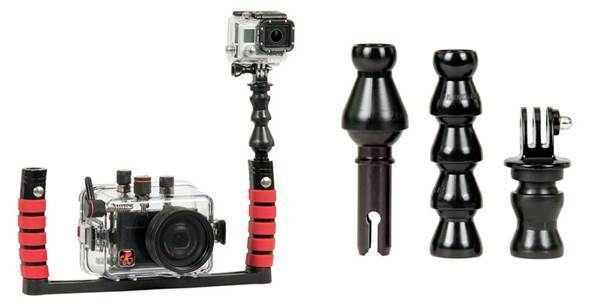 Add a Pistol Grip to your Steady Tray for GoPro for increased comfort and stability. Durable ABS handle with soft-touch rubberized over-mold. Slightly angled for improved ergonomics. Attaches with a single screw for easy removal when backing or in between dives. Steady Tray sold separately. The Ikelite Quick Release Handle allows for easy attachment and removal of arm components at the touch of a button for added convenience above and below water. Durable aluminum and ABS construction with soft-touch rubber over-molding for a comfortable grip suited for large or small hands. Placement of release handle does not interfere with opening and closing the housing. Left and right handles sold separately. 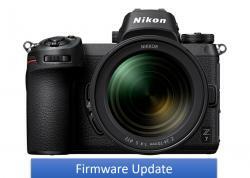 Capture video while shooting stills! This mount kit is super lightweight, flexible, and includes everything you need to attach your GoPro to an Ikelite DSLR top mount. Capture video while shooting stills. 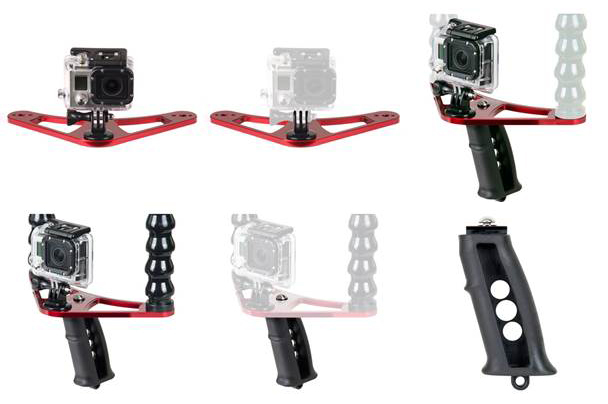 Super lightweight and flexible, this mount kits includes everything you need to attach your GoPro to an Ikelite Quick Release Handle. Attach to the handle of any Ikelite DSLR housing or digital still housing. Tray and handle(s) not included. 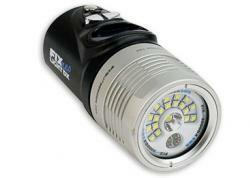 Ikelite has manufactured and designed underwater lighting and photography equipment since 1962, and continues to pave the way with innovations in the lighting and housing markets. Like every Ikelite product, GoPro accessories are built and tested in the USA. 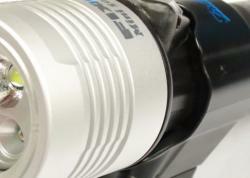 For more information on all Ikelite GoPro and underwater camera housings and accessories, visit www.ikelite.com.